Opinion: A failed rebellion from the Labour MPs as the Members votes to keep Jeremy Corbyn! The United Kingdom politics seems to have changed a lot since the Brexit Election. Theresa May thinks she the second coming to the Queen and tries to the Iron Lady while triumphant acts like a winner; even if she just inherited the honourable Prime Minister government and traded seats to loyalist for her. Well, other news has been the disgraceful and despicable attacks on Jeremy Corbyn and his allies in the Labour Party. The Main Opposition party that has been under fire for their activity and nativity under the Brexit campaign; that has backfired on the central leadership and ended is disarray in the socialist party. There we’re very few MPs in Public who we’re behind Jeremy Corbyn like Kate Osamor and few other rare Members of Parliament that we’re silent through the storm after the Brexit. This happens as the knowledge of the rebel MPs who fled the ship and wanted to axe their leader without any concern of how recently he was elected. These we’re the likes of Peter Kyle, Emma Lewell-Buck, Peter Glass, Chris Evans, Heidi Alexander, Steve Reed, Lucy Powell, Ruth Smeeth, David Wayne, Chris Bryant, Ian Murray, Jess Phillips, Andy Slaughter, Lillian Greenwood and Angela Eagle. All of these MPs wrote letters resigning from the Shadow Cabinet and later worked to do what they could to marginalize their leader. They even had a vote in Parliament where they Opposition voted no-confidence in Corbyn. In a big party as Labour there would be natural that their more than one major wing. In the Labour Party of United Kingdom, you have the Blairites, the once that you cannot spot the difference between if they are Liberal-Democrats (Lib-Dem) or Conservative Party (Tories) as they acts are the same, but hints of collective consideration when they need too. Than you have the Right-Wing socialist and Labour Unionist that is core bases of the Party. These two wings are the ones that have fought for control of the party. The Legacy of Tony Blair and his New Labour is hunting the Party like a vindictive disease that it cannot kill off. Instead the internal squabbles strengthen the Theresa May government and her brash tone towards the world. While the looking non-member possible voter feels that Labour Party is not the first choice because they cannot control themselves. There been enough scandals and wrong methods from the leadership under Corbyn. But he has been a backbencher and not a key player until late. The once behind him and the core leadership should have backed him and given him better advice and made sure that certain Anti-Semite slurs wouldn’t be associated with the party and some of the MPs who are loyal to Corbyn. As much as Corbyn should have used a stronger force in the Brexit campaign to gain momentum for what he believed in at that junction. But let’s be clear, the coup d’état that the Shadow Cabinet Ministers are not how to run a party; it is how to ruin a party. Some of these should just flee the Labour Party; ask for forgiveness in their role of disfranchising the Unions and Members of the Party. Or be noble and find a new home. The rebel MPs should beg for forgiveness for weakening the party and their causes. This has wasted time and efforts for the cost of Labour. The Corbyn Administration better use the time wisely and enter a method of sending their message and making sure programs offered the public can be sold and understood in Brighton and in Swindon. Certainly the rebel MPs are the key losers today, but also the party because of the internal destruction and maladministration that has led to this effort. The Labour Party can become vital if their principals are in order and if the leadership are true to their balanced message. In a big party as Labour if there weren’t fractions, we as followers of them should be worried. Than there would an authoritarian leader who demands what the rest of the party should think and have on their mind. If the Corbyn Administration doesn’t handle the rebels, then the friction between them will continue until next election. Even if the Theresa May Cabinet postpones the Article 50 into oblivion as she really wants to and just having a Brexit Minister and having boy-scout Boris Johnson proud-cocking around Europe to ask for forgiveness for his previous insults of the past. Even with all this in mind Corby and his loyal leadership around him has to consolidate and get a clear message, while handling the men and woman who did what they could to oust him. They tried to have both MP Angela Eagle and MP Owen Smith instead of him. The reaction of the matter is now clear as the Members wish to have Jeremy Corbyn longer staying with the helmet. Certain tabloids and media houses should ask mercy to Corbyn for their attitude and stinking press of slur of ignorance and fixation on getting him axed. Like they wanted to destabilize the party in the wish to strengthen May Government! It isn’t just me who see that clear vindictive attitude of British press towards Corbyn? It was factory made press of banality and obstructive behaviour that we’re out of this world. The only one getting as much bad press, but deservingly so is Donald Trump and he speaks venom; that is not the ways of Corbyn. Let’s be clear, if the Labour Party wants to be serious contender and become a Party of the People again. Then they have to consolidate and retaliate with fierce precision against the rebels while giving them limited options. MP Owen Smith can now go back to his constituency and try to win over with this lobbyist smile and “make this election the most important in the party history”. If Labour want to reign again, then they have to go internally and fix, amend and show progress of stature and credible socialist message that can bring belief of a better future for workers, households and industry. Not only trading the Blairites for getting voters now. Corbyn, congratulation on your second victory in Inner-Party Election; now it is time to work! Peace. Its silly season just some weeks before the Premier League starts up again. All the teams try to add on with players to sustain their place or get into a better position than last year. Teams that have gotten from the Championship for example Watford have used a tiny fortune on new players. Another team that are trying to be champion is Manchester United who has bought half of central Europe players and part of the Mediterranean countries big players to get into the league of Chelsea and Arsenal again. But this story is about neither. This story will be about loyalty. Aston Villa is the old aristocrat in the Premier League. The Birmingham club is a royalty in some ways. Not that it’s Reading who has the nickname. But still the history of the club and range of level it has given the league it deserves credit. Times are changing big money has arrived and been here awhile. So that English players are getting rare in the British league of Premier League. Whatever Greg Dyke or Richard Scudamore is saying is because the FA getting loads of money with the TV deals. That is giving the clubs more money but isn’t helping the movement of players that really representing their clubs in the long run. You can’t buy loyalty. Especially when you can go from being a kid in the sticks and in a few years’ time to having a £30k a week and if you switch to the big ones you can get £100k a week. This story is not about Raheem Sterling. He went as a kid from QPR and built a reputation in Liverpool. Wanted to win things and went to for the highest price ever for a British player £44m to Manchester City. This story that I am telling and describing is about Fabian Delph. Fabian Delph was first as a youth in Bradford City and Leeds. Later he was on a pro contract for Leeds for three years from 2006 – 2009. Delph was in 2009 Young Player of the Year. He went for about £8m to Aston Villa. So now that we’re in 2015. There is more money in the League. We have title chasers who needs English players in the team line-up. This team is the same as the one who got Sterling. A team that has lost most of their English players in recent years the only player who has stayed through the years in the central team is goalie Joe Hart. Micah Richards went for free from Manchester City to Aston Villa. James Milner who the current manager Pellegrini and former manager Manchini who liked his services still him left on Bosman to Liverpool. They sold Boyata to Celtic as well before this season. The savior was the loan in from New York new club and former Chelsea player Frank Lampard. But now he really went over to the club. So in this sense the whole world has known about that the rich club Manchester City and it’s struggle to keep and getting good British players. It’s in this context that Fabian Delph comes in. He was the captain in a team that barley saved them last year in the Premier League. Before Tim Sherwood came in there been two and a half years of Paul Lamberts reign. Three years of barley making it and having 2 months without goals last season before Tim Sherwood got hired as manager for the club. Also that the glamour of O’Neill era is totally gone and the owner tried to sell the club for ages. Therefore the budgets and standard of the squad has gone down. There haven’t been much invested in new players for a long time. So this year’s silly season has been important for Aston Villa. Christian Benteke and Fabian Delph have been rumored away to Liverpool and Manchester City. They are the stars on the team together with Agbonlahor and Vlaar. Even been talk about Vlaar leaving the club. 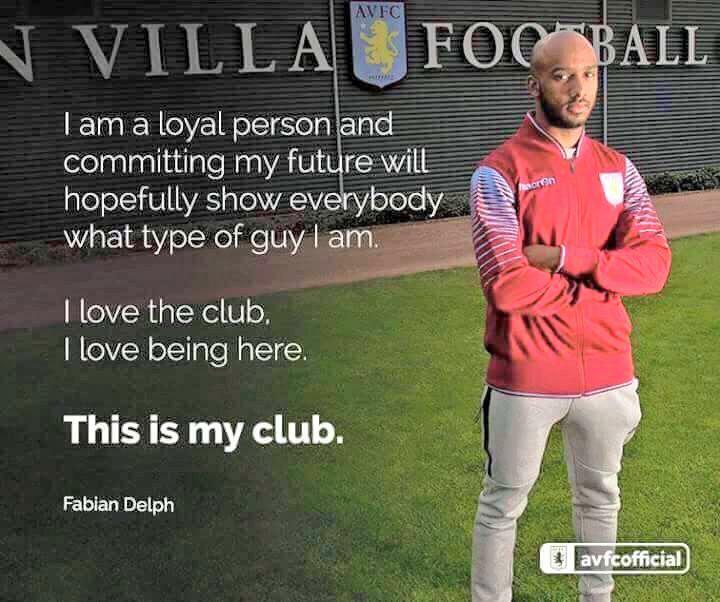 Seven days ago Fabian Delph said that he would be loyal to the club. As he was proud of being captain of the team at that time the club they starting working on a new contract offer to Fabian Delph so that he would be appreciated at that level. They wanted upgrade the old contract of £30k a week to £80k a week. So that he would stay and feel rightfully earning in the league he has been playing in since 2009. On the 11th July 2015 he promised loyalty to Aston Villa after months of rumors and also closely going to medical in Manchester. This was after he was taken off the official internet page of the club and also in the ads for the new shirt. Then later this week on the 16th July he switched his mind and went on with the deal to Manchester City. Had a medical and is rumored to sign a £100k a week for the Manchester club. Also he is part of filling up the quota of British players in the club. Leaving behind Aston Villa where he was captain. So now two days after leaving for the second time the Birmingham club in the same summer. We can see why many fans are displeased with Fabian Delph. For a few days ago he promised himself again to Aston Villa. He signed a new contract for the club already in January. He has been a player who captured interest of big clubs for a while. In his contract he had a buy-out clause that Manchester City £8m. This was been met easily and is a cheap transfer for a British player for the club. When the prices of this players are souring look at Luke Shaw, Raheem Sterling and so on. Therefore with this surprise move that he initially went from Aston Villa to Manchester City is a downer. It kills me a bit by bit because as a football fan we wish to have positive players who have loyalty to their clubs. It’s harder and harder to get by the day. I am not a Liverpool fan, still I wish there was more players like Stephen Gerrard. Fewer players are staying most of the careers in one team instead they are changing for a fortune anywhere else. In the same team its one player that is a standout I have already mention him as a star on the team: Gabriel Agbonlahor is loyal team player with quality. He is one of the few pivotal players you have in the Premier League. And he is a humble and a good guy. So it’s sadden that the youth talent that came from 2009 came from Leeds went from Aston Villa on 16.07.2015 to Manchester City. So the speeches and quotes of loyalty in the start of the week was utter rubbish. 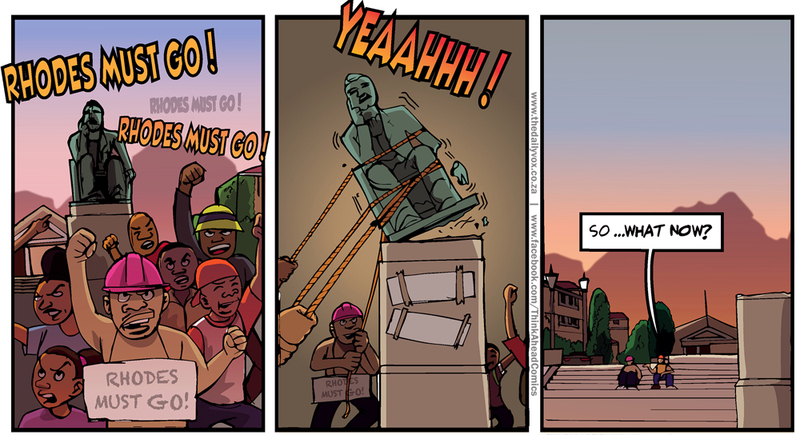 City and Citizens should be happy for this coup. Delph is an amazing player. Always enjoyed watching him playing for Villa so it’s sad to see him leaving a team where he has a major impact and just be pawn on the chess set on the tactical field in Manchester. Like Bony was a phenomenon in Swansea after coming from Twente as a magnificent goal-scorer. He was a machine and a wonder to watch in Swansea. After my reckoning he scored two goals and two whole matches and 8 times substitute for the team. If Delph will get the same treatment is not something I can proclaim. But that he want has as much impact as in Villa is a simple truth. Because Manchester City have more midfielders and players of quality then Villa, which we all know and also Delph already should know. So that he has changed from being a man and player speaking about loyalty. That loyalty only lasted less than a week. When he again went to City and got the new high paying contract. I respect even more players like Stephen Gerrard and Agbonlahor, when I see how the summer sales are going. I am sad also by the way Iker Casillas went from Real Madrid to Porto. After winning everything worth having in the club he had been in all career. Stephen Gerrard had the same and even if he left for Los Angeles Galaxy with respect. Casillas went with sadness and not as hero. The same was with Xavi recently from Barcelona to the Middle East somewhere. So seeing players like this staying loyal and only leaving at the last straw of their career. That is because they want to be the main player in a club. And with their legacy they deserve something else then playing second fiddle. Though I hope they will come back to the club as representative and being part of backroom staff in the years to come. I don’t believe that will happen to Iker Casillias. 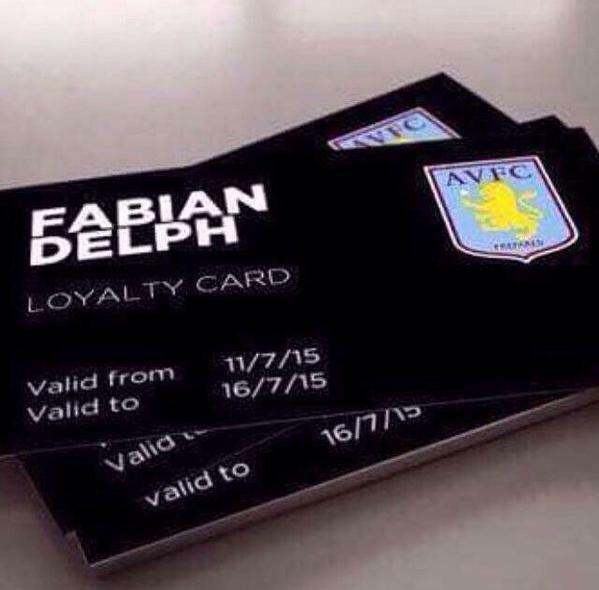 Delph has to stay somewhere and being loyal to it to get remember there. He has already made a mark in the jersey of Aston Villa. If he had stayed he could be respect and an honorable player in this times when fees and salaries are increasing to fairytale level. Therefore Agbonlahor could be an example for Delph. It’s understandable that certain players using clubs like Aston Villa as a stepping stone to a bigger club. Even if the club it’s like a royalty in the league. Still hasn’t had a top position since Martin O’Neill. Therefore players like Delph could have been a foundation for a bigger team and building a stabile club that could be far away from the three year relegation battle. Tim Sherwood can bring a lot of passion into a team. Still he needs quality and players that are loyal to his vision and club. As every club need. 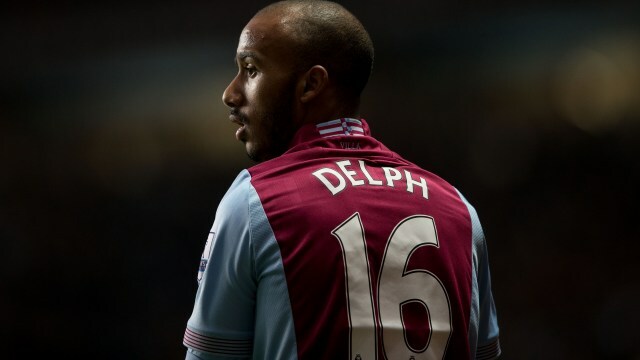 Delph in time he would be seen as a cornerstone in the midfield of the club and remembered as a loyal club player. A player who was there for the team while it was struggling for three seasons to battle relegation and trying to establish itself as a secure club in the league. Instead he went for the quick money in Manchester City. In a club that has won the league twice in last 4 years. They have gotten all the money of the world. But is the epitome of what is wrong in modern football. Though I am not a great fan of Manchester United, I still wish City to win over them, just because of the arrogance of the red devils. Still, the money of City doesn’t by the heritage and history as Villa has. That Delph could continue to be a part of. Especially since he spoke of loyalty recently, then switched and went anyway. Raheem Sterling did everything in his way to get out of Anfield and Liverpool. Delph was different and was silent as silly season went on. The rumors we’re steady. We all knew that City needed British players in this transfer window. They got two now and has Joe Hart. So they got quality homegrown players now. 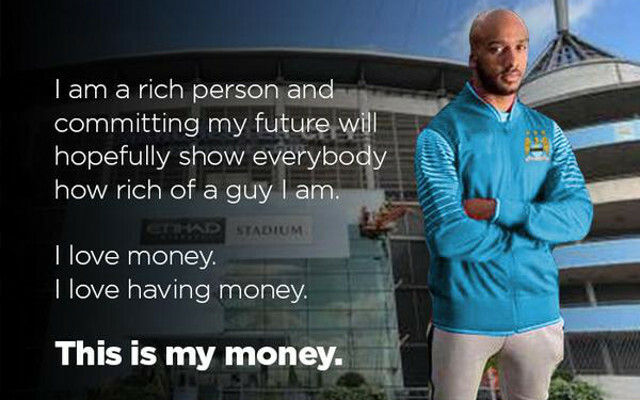 Nevertheless Fabian Delph has proven that money is more important than leaving a legacy. As so many other players of his time as written before I wish there was more players like Stephen Gerrard and Gabriel Agbonlahor. They are heroes in my football heart even if I am not a supporter of their teams. Because these players are humble and hardworking staying to strive for their teams over time, on the other hand are Raheem Sterling and Fabian Delph. A week went by and the truth came to surface what was important for Fabian Delph. So let’s see how his impact will be in the new squad and I hope that Villa get a new replacement that will stay and build on the new vision that Tim Sherwood has. And yes, I can’t wait for a new season and campaign of 2015/2016 in the Premier League. Rest of silly will be interesting, but I hope that no player plays it out as Delph did. The way he promised loyalty and then in like a windfall going back to Manchester City for a new medical. He has surely signed a new contract and gotten the number and new shirt for his new team. As he left Birmingham and went for the money, if I can advise him on one thing not that I believe he will read a single word I wrote. Fabian Delph shouldn’t speak again about loyalty and love for a club before you actually prove it in action. Peace.